In the fiercely competitive leisure industry David Lloyd Leisure are known for offering a premium environment with state of the art equipment and expert fitness professionals. 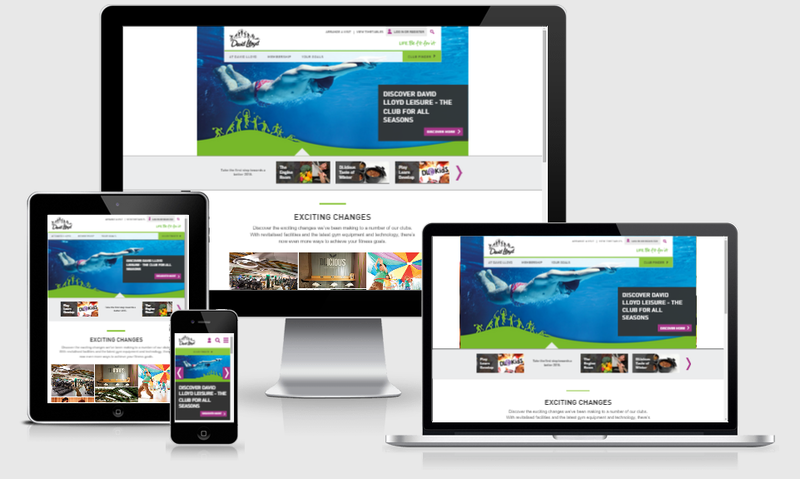 The brief for this project was to bring David Lloyd Leisure’s offline success into their online space giving their existing and prospective members the David Lloyd Leisure experience before they enter a club, and to increase conversions turning website visitors into members. Having experienced the level of service in club and found it to be a tailored approach to each individual's fitness goals, we decided the website should do the same, as well as improving massively on the basic hygiene factors across the site (locations, facilities, staff etc), and focussing on improved acquisition routes. There were two ways that this would be achieved. Firstly, through the research we defined a set of most common motivations or goals of the user (get stronger, lose weight, perform better, relax etc). On arriving on the site, the user could set their fitness goals very simply, then through tagging of content they would be presented the most appropriate content to them. Secondly we made recommendations on Sitecore personalisation so that the various banners and calls to action across the site reflected the journey the user had taken. This doubled up as our way of maximising acquisition opportunities across the site. For the pre-build stages of the project I based myself in the foyer of the David Lloyd flagship club/head office for 1 or 2 days a week. This really helped with observing behaviours, getting rapid feedback on ideas and designs from the users themselves. Through an immersion field study, desk research, a documentation review, and internal stakeholder engagement (interviews with various staff from front desk to personal trainers, sales and marketing etc) I was able to create initial personas and key user journeys. From these, and working with designers, I went through a series of iterative sketches, which when met with approval were then turned into wireframes. 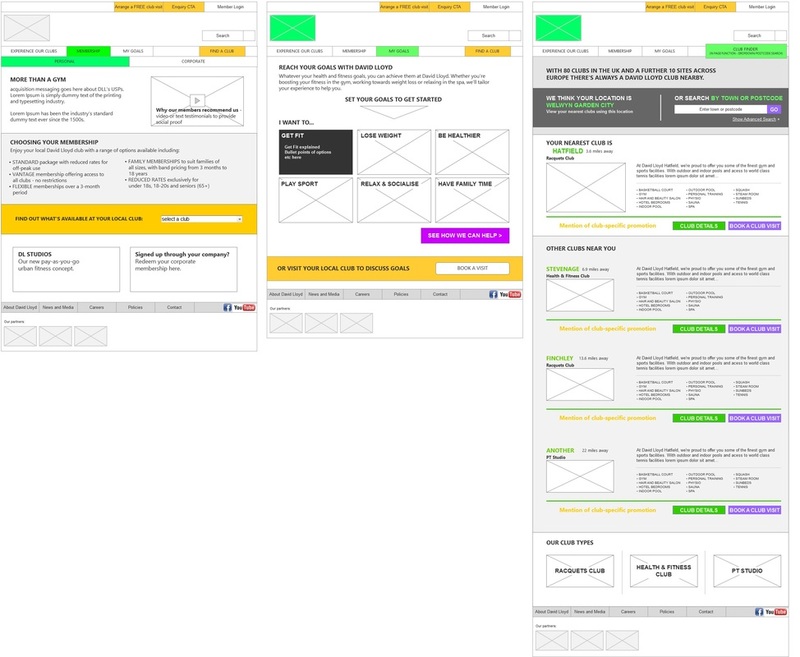 Alongside this, work was done on creating and testing the IA, including the goals of users, and personalisation ideas.